The Coen Brothers have gone beyond genius, becoming a brand like no other. You hear that name you expect quality, you expect wit, you expect off-the-wall. Their style breeds love & hate, sure, but their name breeds interest in a way that no other director or directing team can match. The early days were experimental (Raising Arizona, Barton Fink, The Hudsucker Proxy). The turn of the century was the bread & butter (Fargo, The Big Lebowski, O Brother). What followed was a bit of a stumble (Intolerable Cruelty, The Ladykillers). What comes now is any dark thought inside their collective head (No Country for Old Men, Burn After Reading, Inside Llewyn Davis). But Hail Caesar is a bold new idea, a slightly stranger film than we’ve seen from them for quite some time, a seeming side project in which everyone involved must have had the time of their lives. 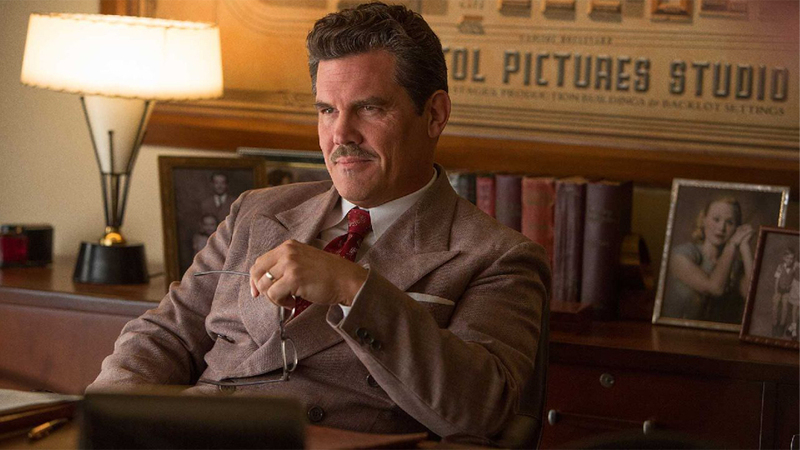 The world of Eddie Mannix, Hollywood studio talent tamer, is anything but boring. He spends every waking hour keeping things running smoothly, making sure the movies we all love get made. Role needs filled? Pop in Hobie Doyle, the cowboy who can’t act. His new director Mr. Lawrence Laurentz is unhappy? Smooth the feathers. Beautiful, unmarried DeeAnna Moran is pregnant? Find her a notary to sign off on the child. C.C.C. the editor is choked by a film reel? Pull her on out. And giant star Baird Whitlock goes missing, ransom notes appear, and the truth necessitates a magician’s dose of slight of hand? No problem, it’s all in a day’s work for Capitol Pictures head wrangler Eddie Mannix. Now if he can just organize his own life, job, and family things would be just fine. But, the show must go on, as they say, and little things like kidnappings & career decisions can’t derail the magic of the silver screen. By calling Hail Caesar a side project I don’t mean to intend that it’s no good, nor that it was produced with any lack of effort from a team that’s put together countless hits before. I mean to say that this film isn’t a pillar of the cinema, nor is it The Coen Brothers’ best work. It’s a farce, a rodeo, a carousel, a high-speed adventure of the mind & the funny-bone. It’s not the serious, dark, deep, or literary concept that we’ve grown accustomed to seeing from these guys, it’s more a throw back to O Brother, complete with musical numbers, but lacking in the pure originality of that retelling. Instead, Hail Caesar becomes a party, a film that the cast must have had an absolute blast making, a great memory for all involved, and an enjoyable evening for audiences. It pays homage to old Hollywood, becomes a love story to the industry, and reminds us all that the madness of the movies is real, but also undeniably addicting. Drawing a comparison to another film with a completely opposite mood, Hail Caesar reminded me strongly of Inherent Vice, but without the drug-fueled mind trips. I can’t see how you could love both; the former is quick & silly, the latter is black & bizarre. Both throw in tons of character, don’t care if you can’t keep their names straight, unravel a wacky mystery, and try to make you laugh along the way, but one is The Coen Brothers, one is Paul Thomas Anderson, which means two unusual but divergent styles. I happened to appreciate this film much more than the other, especially the cast: Brolin was excellent, Clooney was hilarious, Ehrenreich stole the show, Ralph Fiennes was perfect, Tilda Swinton was great twice over, and Jonah Hill, Frances McDormand, & Channing Tatum all had wonderful cameos. 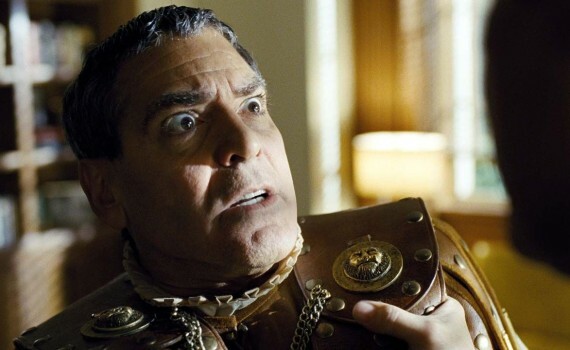 I don’t think Hail Caesar will go down as a Coen classic, but it’s the best thing you’re likely to see in the theatres for months, guaranteeing a good if very unusual time.